OtterBox, the No. 1-most trusted brand in smartphone case protection, is calling on students to unleash their potential and inner entrepreneur.1 The uniVERSE Student Challenge allows students to get creative and innovate their own accessory module for the new uniVERSE Case System. 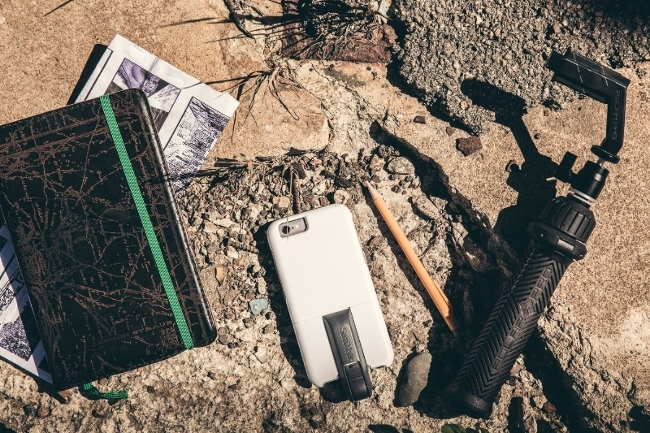 OtterBox uniVERSE Case System is an ecosystem for iPhone 6/6s and iPhone 6 Plus/6s Plus. The modular case has a slotted rail designed to mount swappable accessory modules, such as a 4-in-1 lens from olloclip, iXpand Flash Drive from SanDisk and Trippler Tripod from PolarPro. The uniVERSE Case System is also a platform for innovation – inviting the development of new ways to enhance the mobile experience. OtterCares raises funds for Innovation Stations in schools, where students can innovate, learn and grow. Each challenge winner will receive an Apple iPhone, uniVERSE Case System and an assortment of modules and a VIP trip to OtterBox headquarters in Colorado to see innovation first hand. OtterBox will also provide grants for their schools to create innovation stations where students can learn, invent, explore and grow. OtterBox formalized its commitment to innovative education in 2010 with the formation of the OtterCares Foundation. OtterCares is dedicated to inspiring kids to change the world through philanthropic and entrepreneurial education. To learn more about OtterCares and its programs, visit www.ottercares.org. To learn more about uniVERSE Case System, visit otterbox.com. To learn more about the uniVERSE Student Challenge, visit otterbox.com/universechallenge. Founded in 1998 with a line of dry boxes, OtterBox® has evolved into the No. 1-selling case for smartphones in the U.S. and a global leader in mobile device protection.3 Its diverse lineup of protective solutions for handheld technology protect, connect and enable a mobile world. OtterBox has been an eight-time honoree on the Inc. 5000 list of fastest growing private companies in the U.S. and was named one of “America’s Most Promising Companies” by Forbes Magazine. The company is headquartered inFort Collins, Colo., with offices in San Diego; Cork, Ireland; and Hong Kong. 2 Visit otterbox.com/universechallenge for more information and terms and conditions. ©2016 Otter Products, LLC. All rights reserved. OtterBox and all OtterBox logos, trademarks and symbols are the property of Otter Products, LLC. All other logos, trademarks and symbols are the property of their respective owners.